We are OVERHAULING THE SHOW in a major way and are very excited to share the details about this new format with you in this episode. We also discuss our ongoing creative projects, examine the the value of reprioritizing and simplifying your life to better achieve your creative goals and talk about the power and freedom that comes from learning to FINISH PROJECTS. In our WHAT WE'VE BEEN WATCHING SEGMENT, we talk about The Amazon original series Forever, the new Drew Goddard film Bad Times at the El Royale, the new Netflix horror series The Haunting of Hill House, the new horror film by Luca Guadagnino Suspiria, and the 2018 Halloween lega-sequel starring Jamie Lee Curtis. 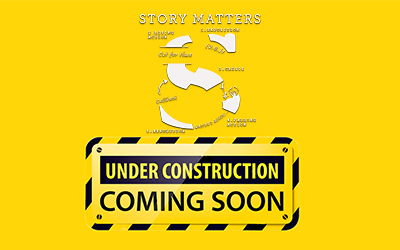 You can email us your feedback, questions and comments to storymatterspodcast@gmail.com! You can subscribe to the podcast on iTunes/Apple Podcasts, Google Play, Overcast, Spotify or wherever you get your podcasts!